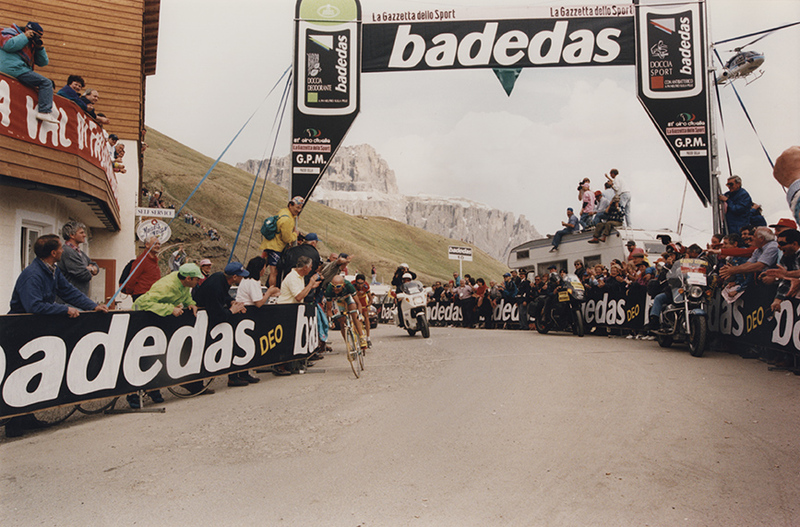 In 1998 the RAI came back to the Giro. 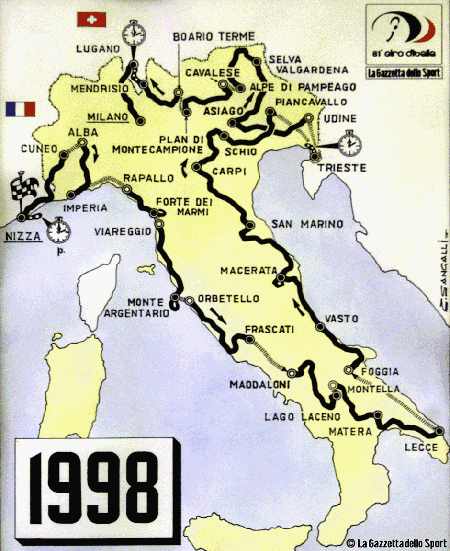 To promote an agreement that had been endorsed at different levels between the Provinces of Nice, Cuneo and Imperia, the Giro accepted the invitation to start the stage race with a prologue on the renowned “Promenade des Anglais”. After a wonderful night at the Acropolis, the teams were presented in the Apollon Concert Hall with a show involving all the artists from the Casino Municipale. The Swiss Alex Zülle was in the limelight immediately. 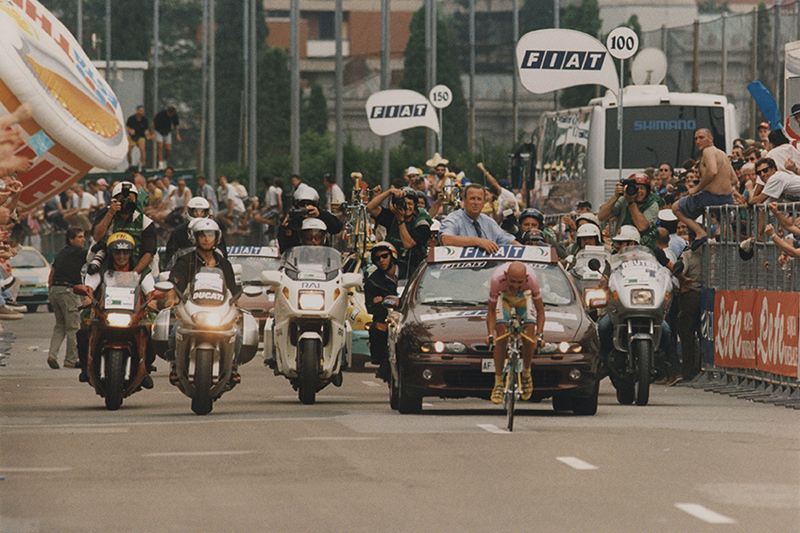 He was the protagonist of actions that seemed to mark the destiny of the Maglia Rosa at Laceno Lake, but especially in the Trieste time trial. 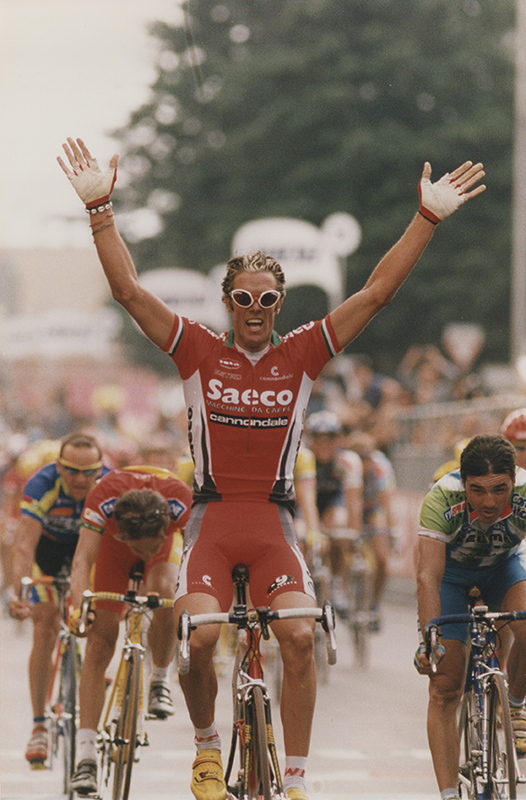 In the meanwhile Cipollini was the undisputed show-stealer in the sprint finishes and Michele Bartoli did his best to wear the sought-after Maglia Rosa just for one day. In Frascati he actually pull it on. 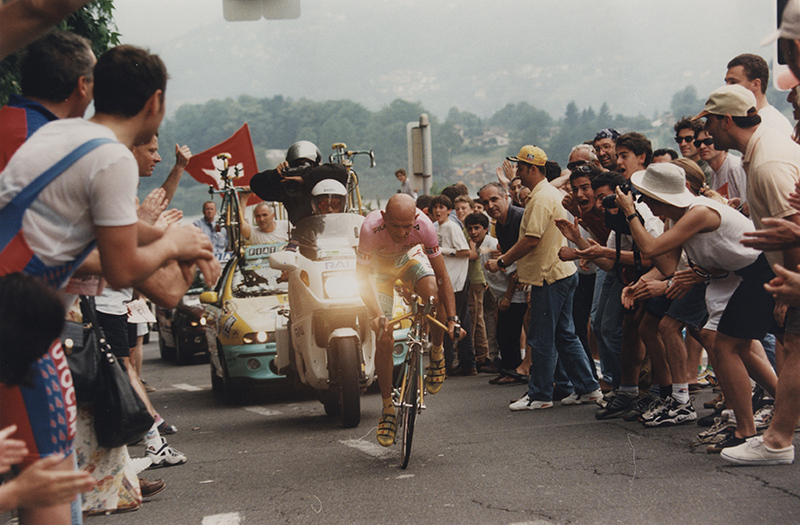 Pantani started to move up the classification in Piancavallo, but the following day Zülle outclassed him in the time trial and passed him although he had started three minutes later.But in the Selva Valgardena stage, after the Malga Ciapela, Pantani flew on the Fedaia and on the Sella passes and although threatened by a strong-willed Tonkov, he got the lead. 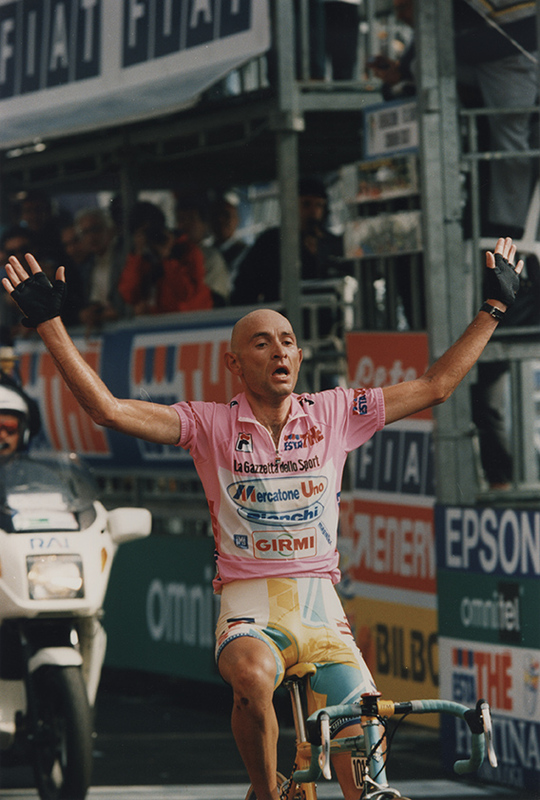 He was superlative at the Plan di Montecampione (maybe the best Pantani ever) where he got the upper hand in a heated duel with the Russian, after making a dozen attacks. His defense in the Lugano time trial was superior to all expectation. Therefore, his win in Milan was undisputable. 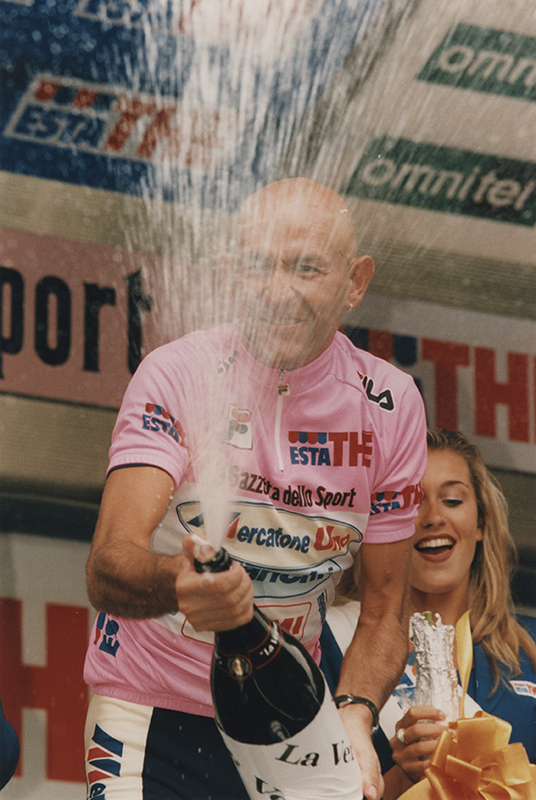 With his victory of this Giro and his triumph in Paris on the Tour, Pantani created a favourable consensus about cycling that had disappeared since Coppi and Bartali’s golden age. But times were about to change, and a strom was looming on the horizon.